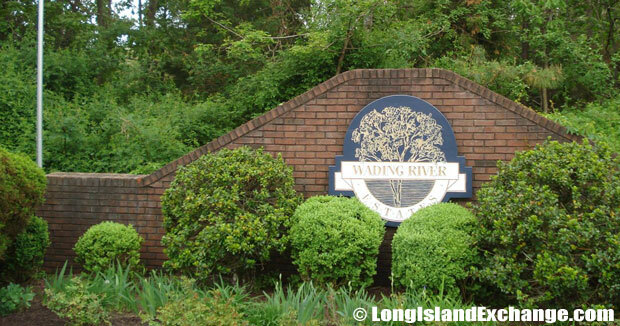 Wading River is a hamlet (census-designated place) in Suffolk Country, on the North Shore of Long Island, New York. As of 2010 census, there were 7,719 people, 2,809 households and 2,297 families residing in the CDP. The median income for a household in the CDP was $104,705 and the median income for a family was $122,750. Males had a median income of $71,713 and $56,063 for females. The latitude of Wading River is 40.950N. The longitude is -72.843W. It is in the Eastern Standard time zone. Elevation is 92 feet. 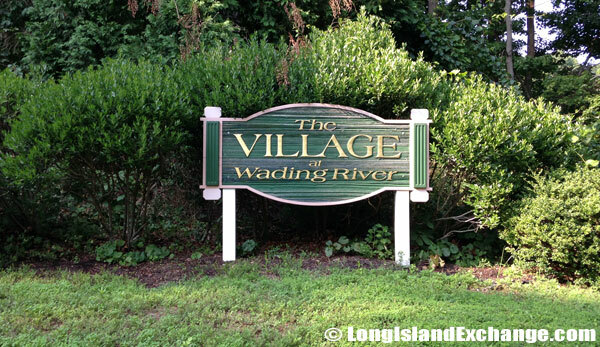 The Subdivision entitled the Village at Wading River. 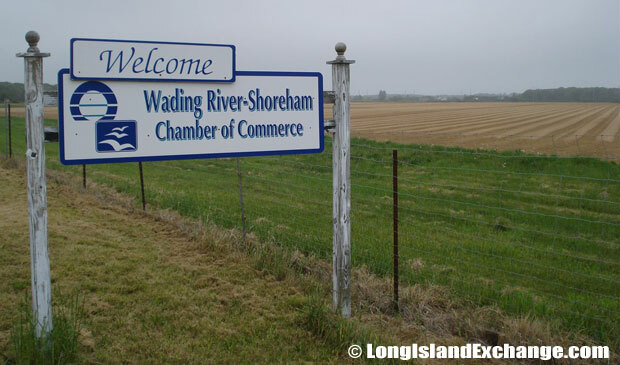 A sign by the Wading River – Shoreham Chamber of Commerce welcomes visitors and residents to Wading River. 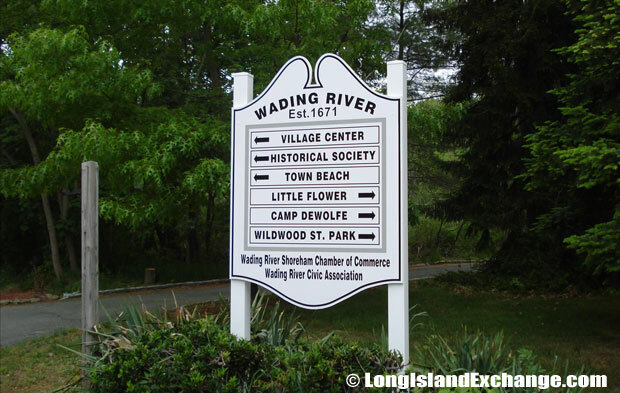 The Wading River – Shoreham Chamber of Commerce and Civic Association Directory. The racial makeup of the CDP was 95.10% White, 1.96% African American, 0.04% Native American, 0.97% Asian, 0.13% Pacific Islander, 0.81% from other races, and 0.97% from two or more races. 3.69% of the population was Hispanic or Latino of any race. 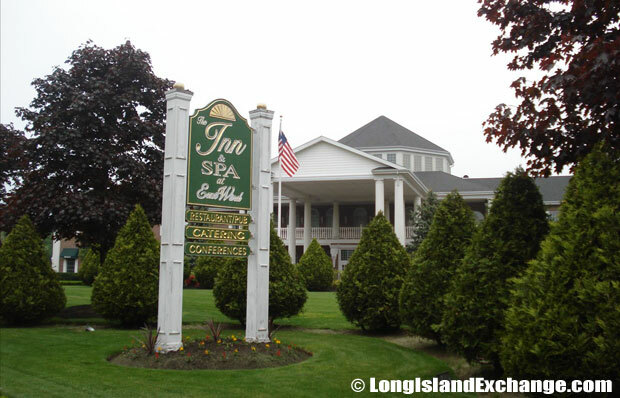 The Inn and Spa at East Wind in Wading River, popular with luxurious hotel accommodations, weddings and lodging. The Subdivision entitled Wading River Estates. 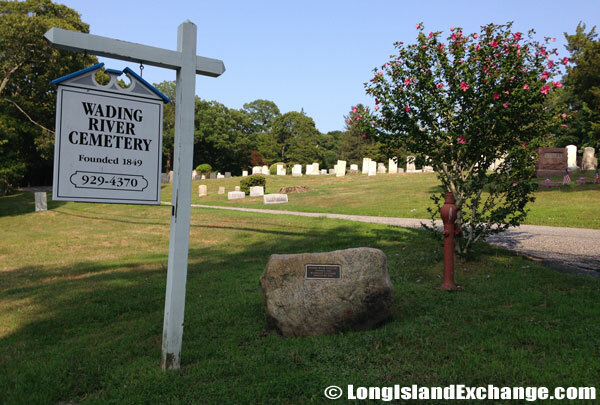 Wading River Cemetery, founded in 1849. 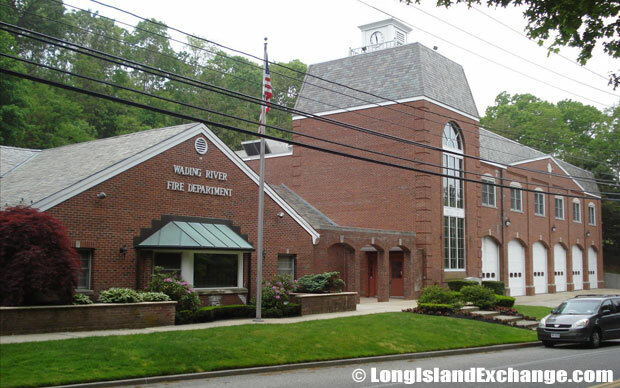 The community of Wading River is on the town line between the Town of Brookhaven and the Town of Riverhead. It comes from the original Native American name for the area, Pauquaconsuk, meaning “the place where we wade for thick, round-shelled clams”. It evolved into a commercial center for nearby North Shore hamlets in the 1700s and the more simple translation of this descriptive native word, “Wading in the River” or Wading River was adopted by the first settlers. 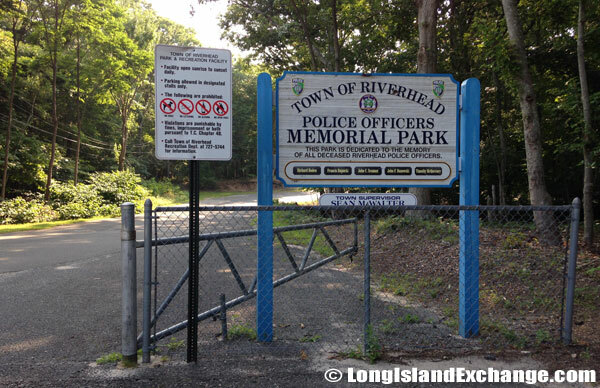 The Town of Riverhead Police Officers Memorial Park. 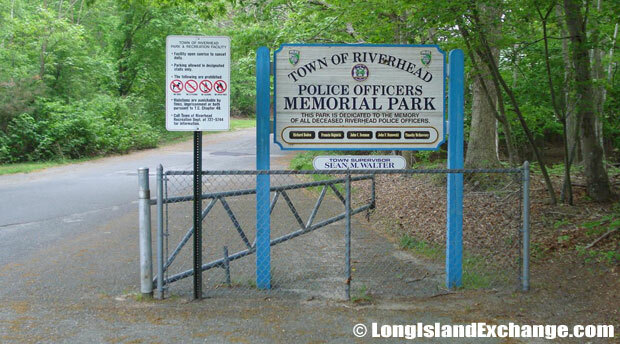 This park is dedicated to the memory of all deceased Riverhead Police Officers. 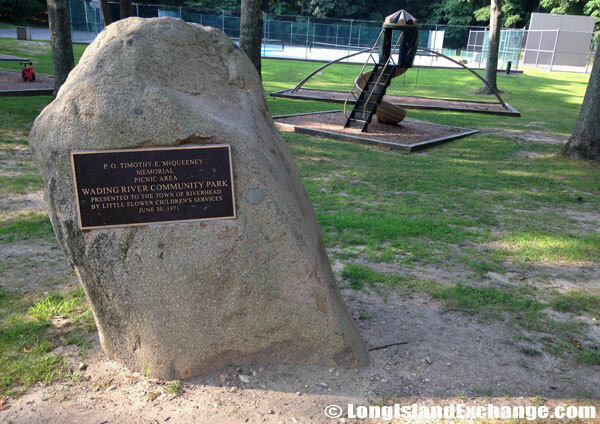 The Timothy E. McQueeney Picnic Area at Wading River Community Park, presented to the Town of Riverhead by the Little Flower Children’s Services on June 30th, 1971. The hamlet is established as an agricultural industry area for its very rich and fertile sandy soil. 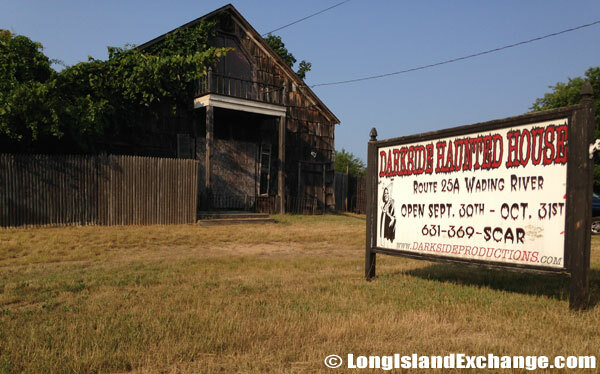 It has been proven by Long Island Rail Road executives which are embarked on an unusual sideline starting in 1906. The farm was so abundant with beets, onions, melons, carrots, corn and squash that former President Theodore Roosevelt came to Wading River in the summer of 1910 to inspect what was coined Peace and plenty farm. 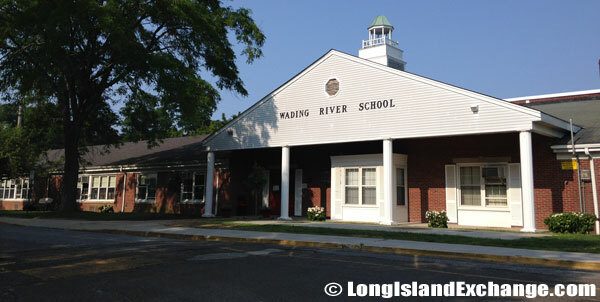 Wading River Elementary School, part of the Shoreham-Wading River Central School District. Wading River residents enjoy a range of country living at its best with North Fork farms, gaming, and old-fashioned New England Towns to the East, and not so remote suburbs, shopping and industry to the West. They also enjoy a varied housing community from beach and vacation bungalows to excessive new construction waterfronts, homes within developments of quiet isolated abodes. Wading River Square Shopping area. 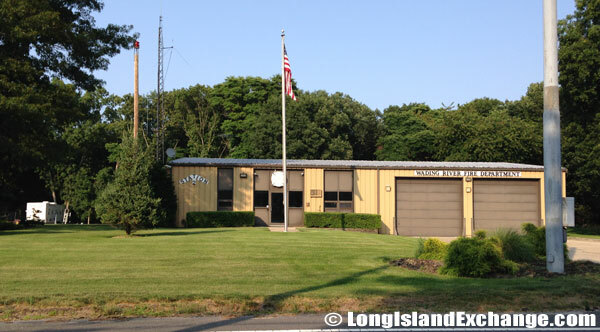 Wading River Fire Department, Station 2. The widely popular Halloween spot for the Darkside Hanuted House. One of the most historic structures in Wading River is the Wading River Congregational Church which was used in 1671 and was the earliest church in the area. 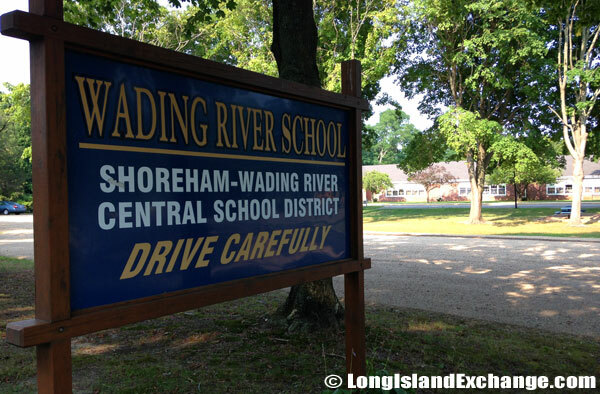 Wading River has two townships namely the Brookhaven and Riverhead and two school districts as well the Shoreham/Wading River & Riverhead. 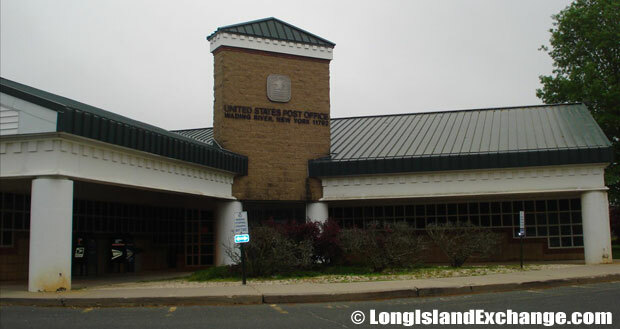 The town geography has lowlands, highlands, hills, flat open spaces, farms, ponds, parks and beaches while industry has recently expanded with some shopping centers and new construction still retain the strangeness as a small East End Long Island town.